Whether you need a quick weekend getaway or you're looking to spend a month in absolute relaxation bliss, check out these detox centres and yoga retreats across Thailand. After two wellness retreats in Bali, I'm completely hooked. I have a strong desire to experience more retreats this year, and as I'm going to spend some months in Bangkok, I'm focusing this time on Thailand. 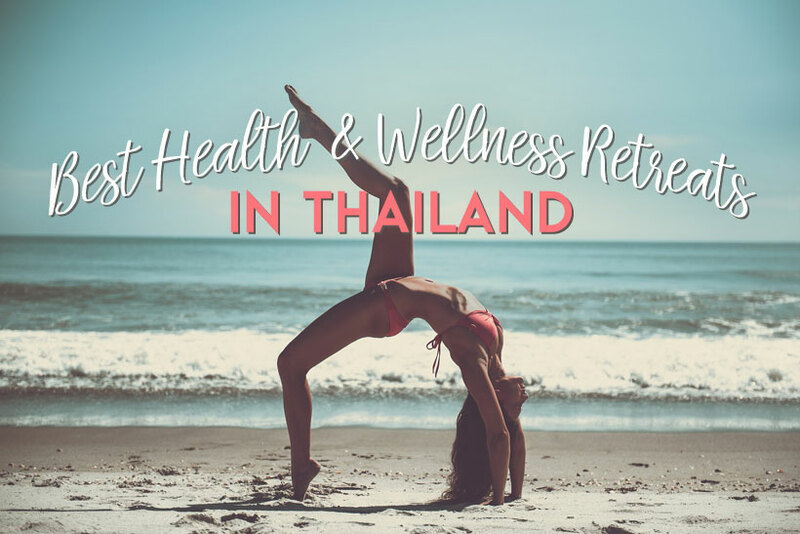 Thailand is one of the hottest travel destinations in the world, it is no surprise that the country has also become one of the most popular Health and Wellness Retreat Destinations in Asia. The prevalent Buddhist culture and mindful tranquility attracts those seeking to reconnect, reboot or relax. If you’re new to health and wellness holidays here are a few picks to get you up to speed with what you could expect. From picturesque wild mountains in Northern Thailand to the breathtaking seascapes of the Thai coast, there are plenty of options to find a detox retreat to match your personal taste and budget. If you are looking to reboot and disconnect from the city bustle, this boutique retreat in Northern Thailand will give you the opportunity to wind down. 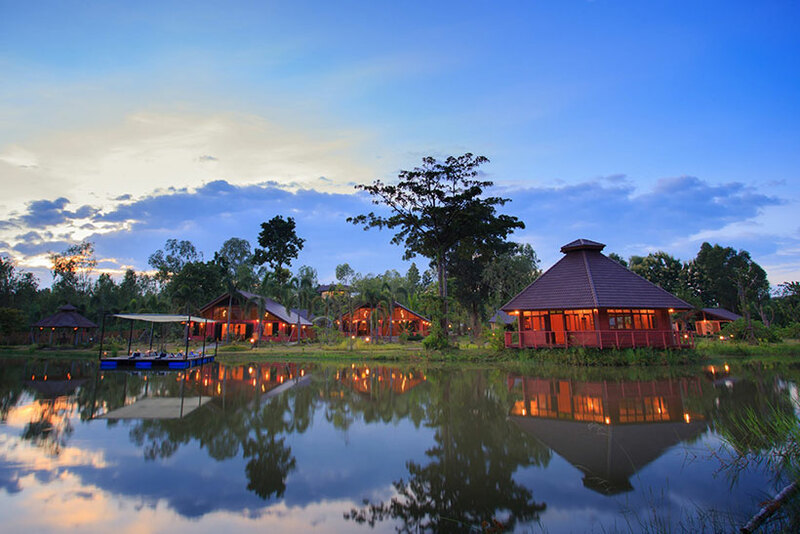 Museflower Retreat & Spa is tucked just 17 km distance away from Chiang Rai surrounded by a serene lake and lush rice fields. Take a break by signing up for their most popular package of 4 days and 3-night stay. 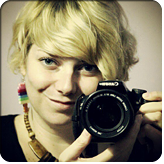 Museflower is a mindfully green retreat with eco-facilities, an organic farm, aquaponic gardens and holistic treatments. Just as mindful are the staff, who are always up to the task of making you feel at home. Yoga classes, massage treatments, and other holistic offerings are all part of their packages but can also be added upon arrival. The luxury here lies in the simplicity of just being. Whether it's sipping tea by the picturesque lake, cycling within nature or taking a leisurely dip in their Himalayan salt pool. 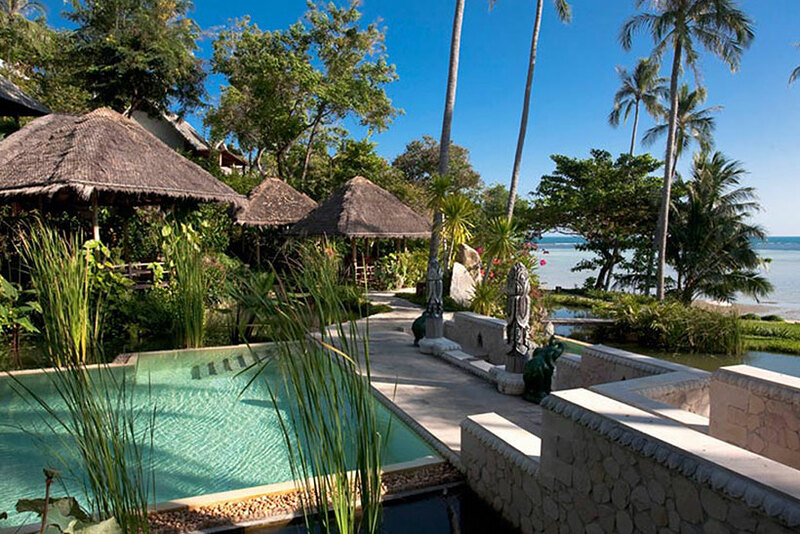 This beach retreat is one of the go-to settings when in Thailand. Santosa Phuket delivers not only great value programs but also breathtaking views of the sea in a soothing environment. Their detox programs start at 3 days and go up to 21 days in one of their spacious suites. But for those who have limited time and would like a sample of what Santosa can offer, try out their one-day detox & wellness program. For any of these, one can partake in one of their activities that range from aerial yoga, Zumba, and even traditional Thai boxing. For those looking for a more relaxed pace indulge in some yoga overlooking the Big Buddha statue. If all these activities get you all tired out, recharge yourself with one of their signature spa treatments. 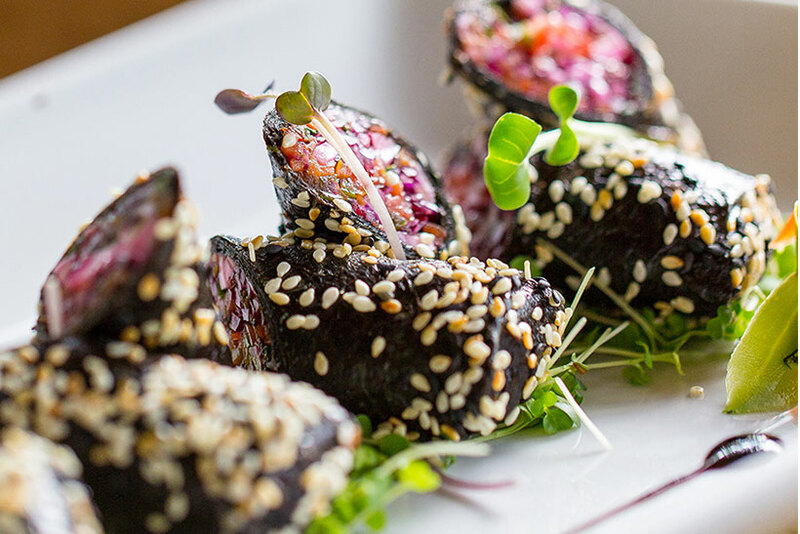 Finally, refuel with their spectacular vegan and raw food. Especially if you are there on a Saturday the resort offers a vegan buffet that is open to all. Kamalaya offers a unique experience for those looking to be pampered at one of the most luxurious, well-regarded Wellness Resorts in Thailand. With numerous accolades and awards, their teachers, healing practitioners, and therapists are esteemed as the resort itself. Located on the south side of Koh Samui it is centered around a holy monk’s cave. Perched on the hillside with sprawling sea views, Kamalaya will immerse you in nature with its nature-centered design whilst offering the convenience of all modern amenities. The suites and villas are all unique, some come with an outdoor bathroom for those moonlit baths. The choice of therapy and pampering treatment is unsurpassed with a naturopath overseeing your journey back to wellness. If you have a specific need the professional team can create a tailored program for you. The gracious staff will readily fill you in about their services; such as spa treatments, connecting you to any visiting practitioners, cooking classes, private coaching or experiencing their infrared sauna. The all-inclusive meals will tantalize your taste buds. Don’t forget to check out the beach for a dip if your private pool isn’t cutting it. If quiet time is what you seek, you can also access the monk’s cave to meditate. If you are in Koh Samui and not quite sure what program you would like to sign up for, make your way east of the island to Absolute Sanctuary. Located not too far from the airport, this Moroccan-inspired boutique retreat center caters to all different needs. 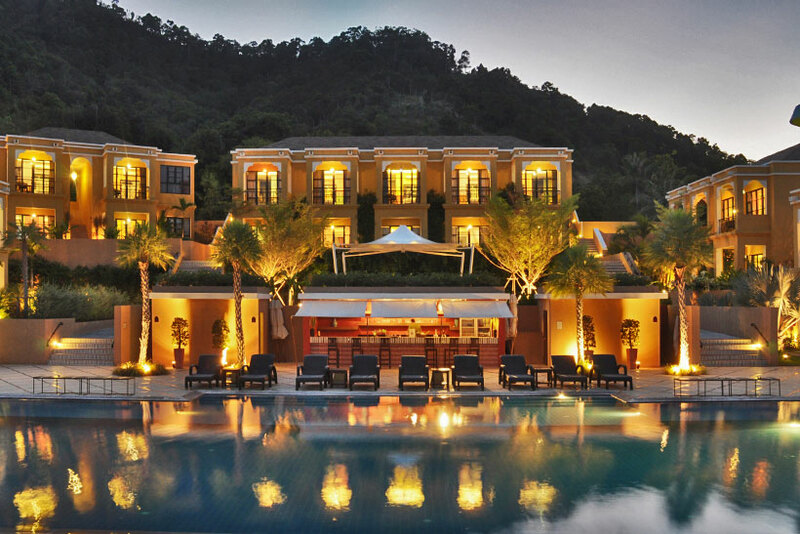 All of their hillside rooms have a sweeping view of the Gulf of Thailand. Whether you are looking for a detox break, spa holiday, yoga immersion, Pilates, boot camp, lifestyle reboot or a weight loss program there is something for everyone. All will come with the added benefit of delighting your taste buds at their outstanding restaurant. If you aren’t sure, you can schedule a consultation with their in-house wellness guide who also provides Reiki treatments. For those looking to have a more relaxed time, a suggestion by other retreat-goers is to laze in their pool with a healthy smoothie in hand before some hot yoga or better yet, book in for one of their exclusive body pampering sessions. Literally turn a new leaf at this detox resort in Koh Samui. Asides from great hospitality, New Leaf Detox is best known for their all-inclusive weight loss retreats. The center appeals to and attracts a broad range of people whom all have the same detox goal in common; weight loss and improving health through diet and fitness. Their weight loss and juice fasting programs start at a minimum of 3 days to a maximum 28 days. You can make yourself at home at New Leaf’s serene grounds in one of their cozy poolside bungalow rooms. These bungalows just so happen to be right next to the white sandy Lamai beach. Choose how much you want to do with their flexible activity program. 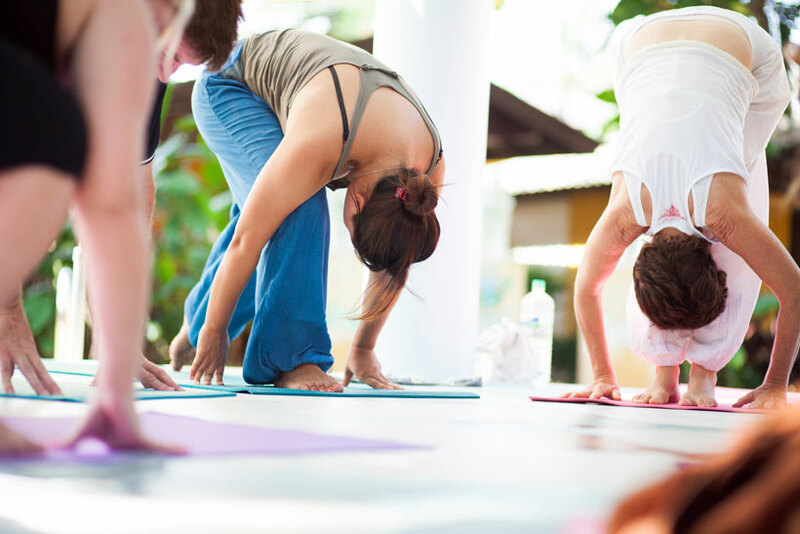 Classes range from aqua aerobics, yoga, meditation and personal Thai boxing training. Being able to set your own schedule they will give you ample time to enjoy daily massage and herbal steam, and sample all their tasty organic juices. Make sure to reserve a day to enjoy their five-island boat tour around the Gulf of Thailand. Have you been to a health resort in Thailand? Please share your experience and help others to decide where to go. I wish you a happy journey and a healing experience.